Files will be sent via email to the address used during checkout. Please be sure to save the “Order Complete” email if you intend to download the files at a later time. There will be a maximum of three downloads per account. Desmond T Doss was the first Conscientious Objector in history to be awarded the Congressional Medal of Honor. His story transcends all color and creed of any kind. Whether a child, teen, adult, geriatric, Seventh-day Adventist, Jew, Catholic, Muslim, or Buddhist, it really doesn’t matter. All who are aware of this magnificent man have been awed by his unwavering faith in God, his undaunting courage, his steadfast honesty, his unquestionable integrity, and most of all, his unconditional love for his fellow man. Desmond Thomas Doss, planet Earth salutes you! Thank you for interest. A paperback version is currently being prepared. Please follow us on Facebook to see updates and announcements concerning our progress. This is an amazing addition to the movie. 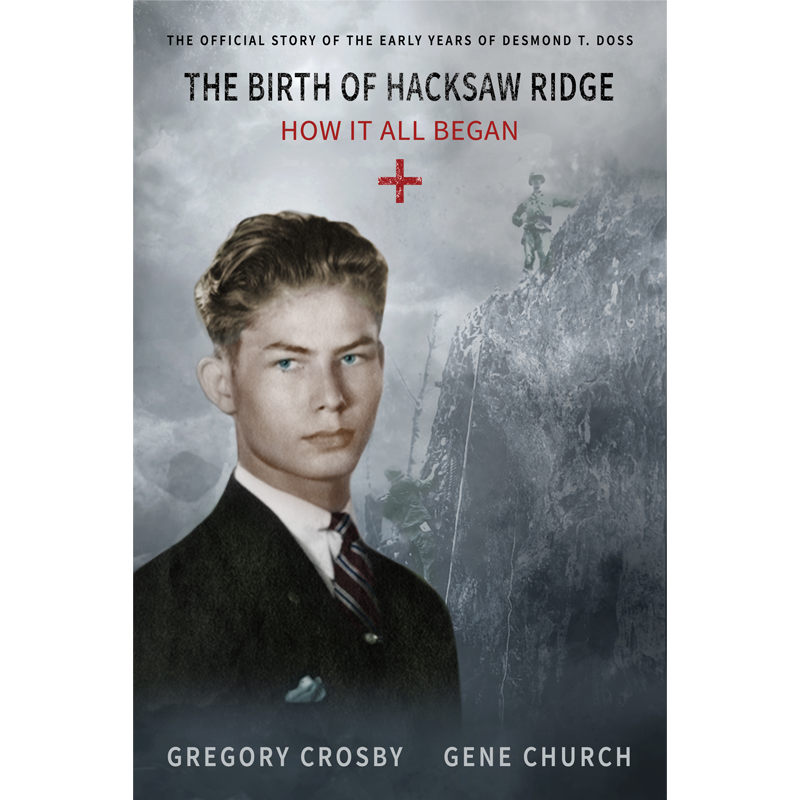 The untold story of how Desmond found his faith, tested his faith and became a hero. I was truly inspired by this story which covers his formative years and the miraculous events of his youth. The love story about how he met Dorothy and so much more. A feel good book for all ages! Copyright © 2019 + The Birth of Hacksaw Ridge Ebook. Powered by WordPress. Theme: Spacious by ThemeGrill.